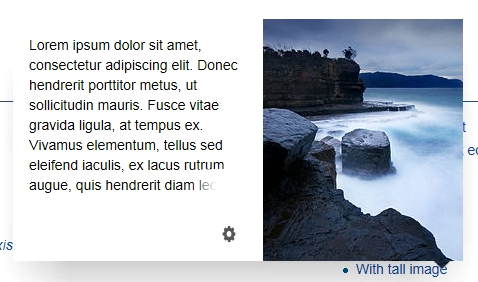 Now that RESTBase returns the original image with each page summary endpoint request, we should make use of it to construct thumbnails on the client with the dimensions we need. 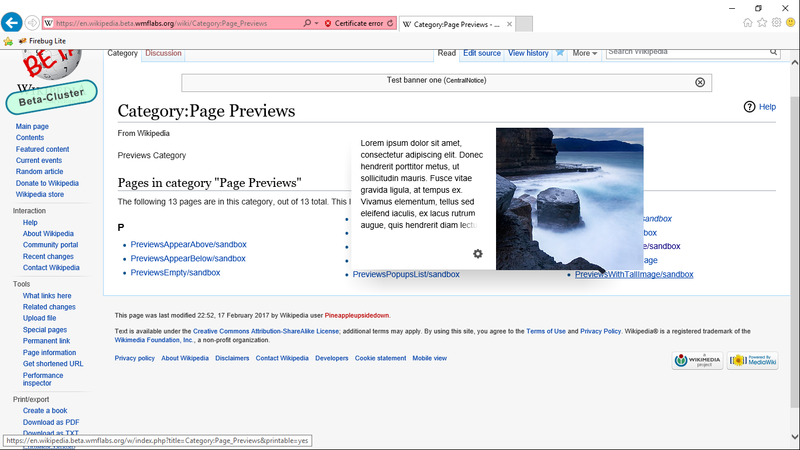 Originally, RESTBase would only return images up to 300px wide, which considering device DPI would be hidden because of some logic in Page Previews. 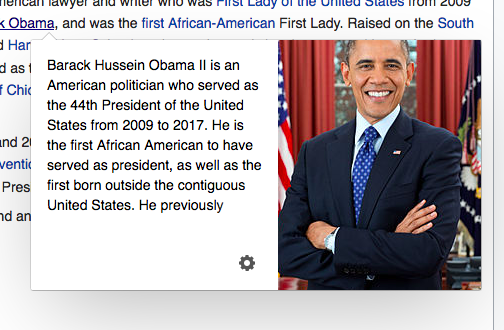 "description": "44th President of the United States of America"
Notice the new originalimage object. 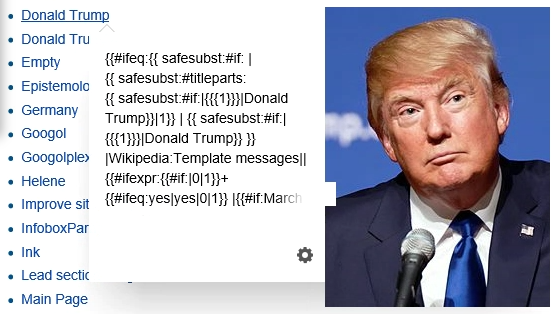 We should use this to construct thumbnails of width used in the existing MediaWiki API end point. Hover over links that point to pages with images and make sure Page Preivews show images. RESTBase is already setup on the beta cluster: example. We need to enabled the config variable now so that we can write up the testing plan. Over to @pmiazga who'll add a testing plan while rOMWC512cb69e83c4: Make Page Previews use RESTBase on Beta Cluster is reviewed, merged, and deployed. rOMWC512cb69e83c4: Make Page Previews use RESTBase on Beta Cluster can't be deployed until Monday, 27th. phuedx removed pmiazga as the assignee of this task. I've added rOMWC512cb69e83c4: Make Page Previews use RESTBase on Beta Cluster to today's European SWAT. phuedx moved this task from To Do to Doing on the Reading-Web-Sprint-92-🍜 board. phuedx reassigned this task from phuedx to pmiazga. ^ The Selenium tests now pass but now the "node" tests are failing because downloading PhatomJS is timing out. 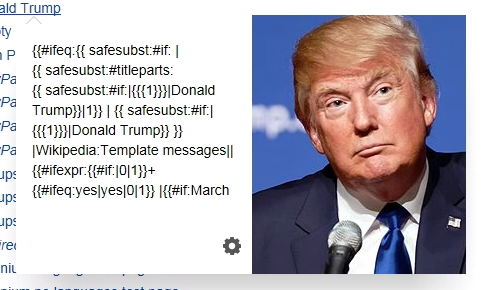 Provisionally putting this back in Needs Code Review. 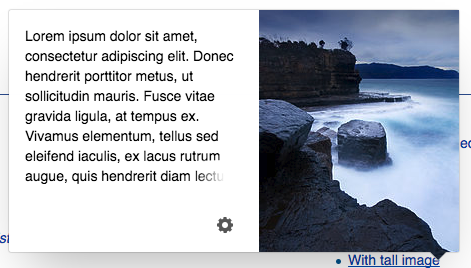 @bmansurov noted a bug in the scaling of the resized thumbnails yesterday (hence T156800#3064050) and I believe I've fixed that but haven't yet set up my local testing environment for Page Previews with RESTBase. phuedx moved this task from Needs Analysis to Needs Code Review on the Reading-Web-Sprint-93-🔍🔍🔍🔍🔍 board. bmansurov moved this task from Needs Code Review to Needs QA on the Reading-Web-Sprint-93-🔍🔍🔍🔍🔍 board. 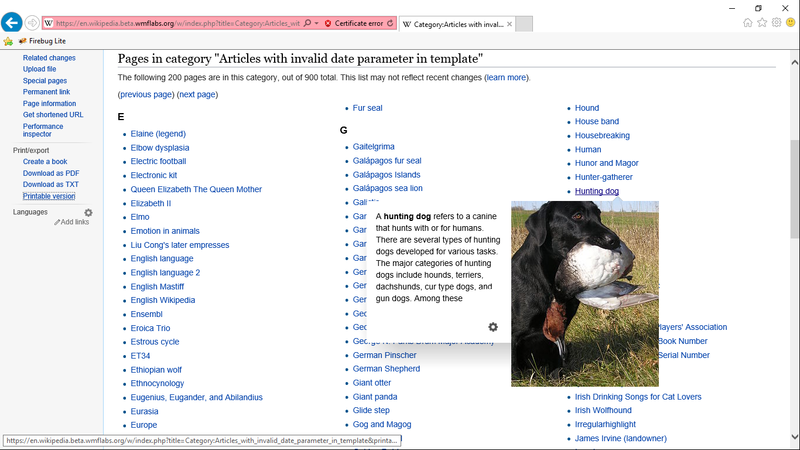 Tested here: https://en.wikipedia.beta.wmflabs.org/wiki/Dog, images appear as expected. @ABorbaWMF - over to you to reconfirm. Did some testing across a few different OS and browser combinations. 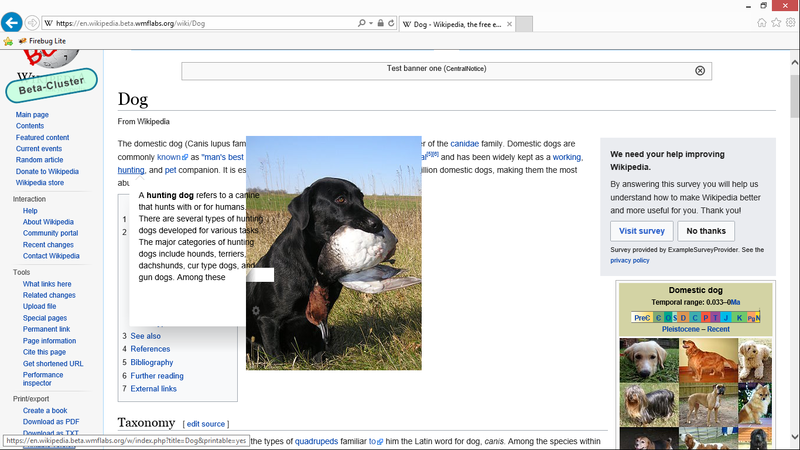 Mostly everything is working, but I noticed a problem with Tall images on IE browsers only. @ABorbaWMF: Do you see the same behaviour on the staging server, which isn't configured to use RESTBase? These worked in the past. I remember @ovasileva mentioned that different code was running there. the pokey is at the bottom-right of the preview. the pokey is at the bottom-left of the preview. the pokey is at the top-right of the preview. In 2 and 3 the thumbnail is fully or partially clipped and in both cases, the pokey is being used to clip the image. Obviously, this needs a more thorough investigation. Thanks, @ABorbaWMF! So this rendering issue occurs regardless of the API being used (RESTBase on the Beta Cluster, the MediaWiki API on the staging server). Left a nit. @phuedx that patch is the solution to the images not showing some times, right? Image issues fixed in T139297: Hovercard images overlapping text/card edge in Internet Explorer. 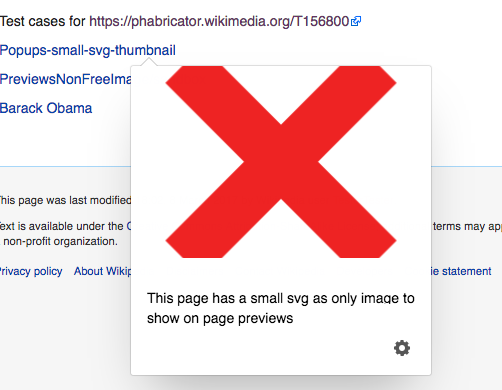 ^ For context, @Jhernandez spotted a neat little bug where small SVG images weren't being scaled properly/the thumbnail URL 404'd. Here's the test page that he created to prove the point: https://en.wikipedia.beta.wmflabs.org/wiki/Popups-small-svg-thumbnail. @ABorbaWMF - could you confirm? rEPOP1a37366c6701: rest: Always scale thumbnail's largest dimension fixes T156800#3087507 by scaling the thumbnail's largest dimension to the desired size. Note well that in @ovasileva's example above, the dimensions of the thumbnail returned by the PageImages API are 240px x 300px. When reviewing and testing rEPOP1a37366c6701: rest: Always scale thumbnail's largest dimension, make sure you include the titles that @Jhernandez and @ovasileva used in their testing (see T156800#3087507) – at the very least! 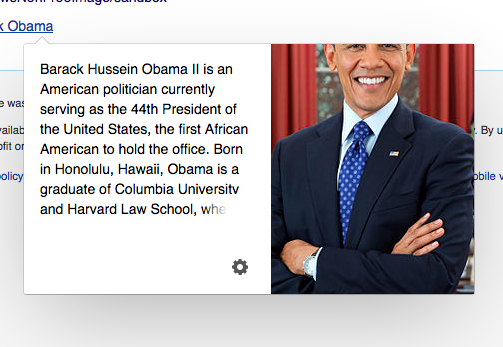 Barack Obama looks good and is consistent on beta cluster with production now. I realise that we didn't clearly define what "works as expected" means. Is this expected? TBH I'm finding this task extremely hard to follow and I'd appreciate subtasks capturing bugs for the specific issues we are finding to understand the behaviour we are expecting here and how I'm meant to be testing them. Likely something for the retro. phuedx assigned this task to ovasileva. I think this is yours to sign off @ovasileva.